The technological effort aimed at making the life of the driver easier has opened up a vulnerability in the safety of the vehicles that the thieves have already learned to take advantage of. In the course of the last decades, the automobile manufacturers have achieved impressive technological achievements. You often hear about safety-related technologies during trips such as automatic emergency braking systems, as well as those that assist the driver in handling such as maintenance systems. However, a large part of the technological advance has also been aimed at eliminating any effort on the part of the driver beyond the implicit in the driving experience. The focus of that effort has been the elimination of tasks that drivers did almost without thinking a few years ago. One of those tasks was to open and start the car with a key. First came the keys with built-in remote control, which secured and released all the locks by pressing buttons. Today those keys are giving way to sophisticated transmitters that allow you to open, close and start the car with the touch of a button on the board, without even having to remove them from your wallet or pocket. The problem is that these smart keys do not rest. These mini transmitters are permanently on so their signal is vulnerable to being captured by a relatively low-tech scanner. Car thieves are already aware of this vulnerability, as seen in a viral video captured by the West Midlands Police Department in the United Kingdom in 2017. In the video, it was shown how a pair of car thieves stole a Mercedes-Benz sedan in 60 seconds. One of the thieves approached the door of the house, the area where people usually leave their car keys, with a scanner in hand. The other thief stays near the car to steal with the transmitter. The scanner acquires the signal from the smart key, the transmitter receives the signal from the scanner becoming a copy of the key of the car. In a few seconds the transmitter opens the car, turns it on and the thieves start driving the stolen car as if they were in possession of the original key. The simplicity of the operation is impressive, but just as simple are some of the steps you can take to prevent the theft of your car through this mode. Keep the smart key of your car as far away from the contours of your house as possible. Use low tech vehicle protection devices such as a lock-driver or a signal blocking box to store the key at night. Check with your vehicle dealer frequently regarding possible system updates that seek to avoid this type of theft. It also asks the dealer if it is possible to deactivate or temporarily turn off the smart key. If possible, do it before going to sleep. So, go to a car key locksmith and they will make your car keys up for you. Today’s world is wonderful when you know a car key locksmith. 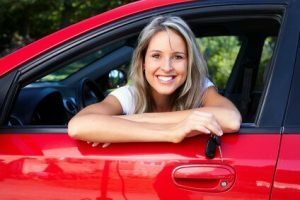 Avoid the pitfalls of a stolen car https://carkeyssanantoniotx.com/avoid-pitfalls-stolen-car/ 3.8/5 based upon 23 reviews.